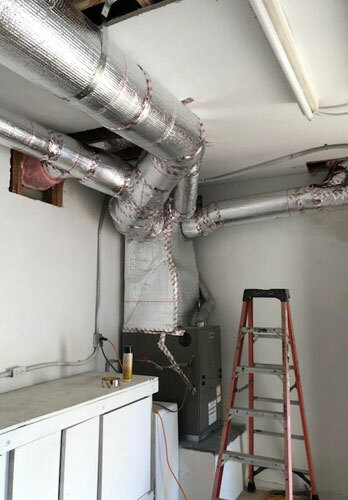 Long Beach Heating & Air Conditioning’s team of NATE-certified technicians recently installed this full ductwork installation in Long Beach. We provided a free onsite assessment before providing a personalized and energy-efficient ductwork system. 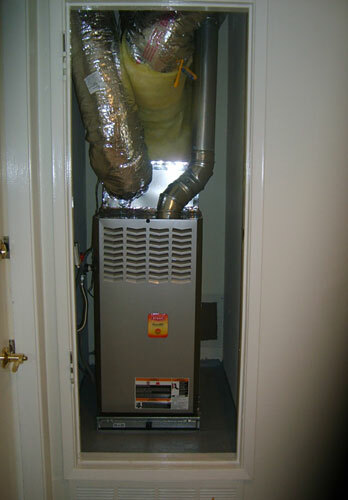 Our HVAC experts installed this new heater in Long Beach for a residential client. 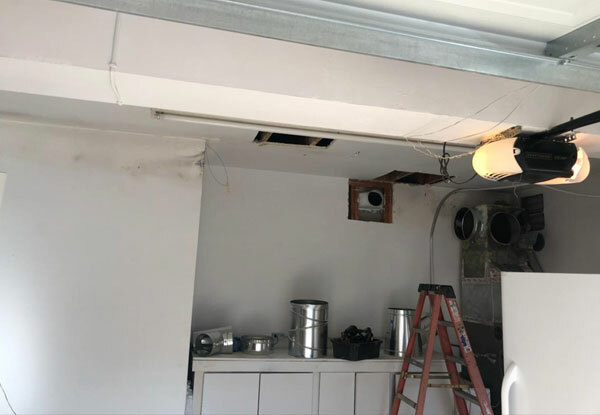 We replaced an old wall heater and installed all new ductwork throughout the home. Call today to learn more about our expert HVAC installation services. 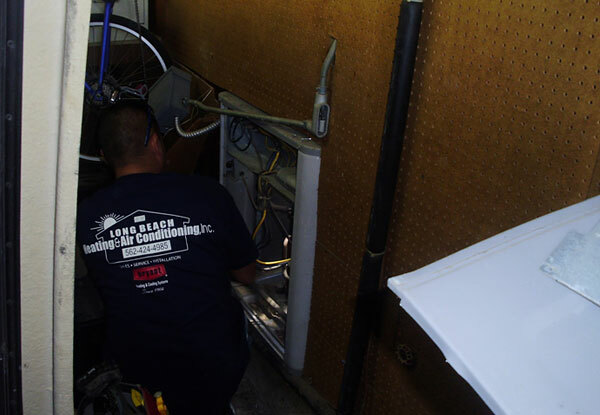 Our NATE-certified technicians completed a ductwork system replacement at a residence in San Pedro. 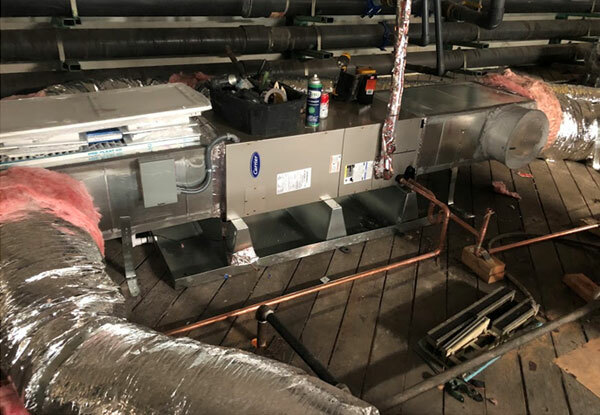 We offer a wide range of HVAC ductwork system design, installation, and repair services for homes, businesses, and remodels in Long Beach, Bellflower, Torrance, and nearby areas. 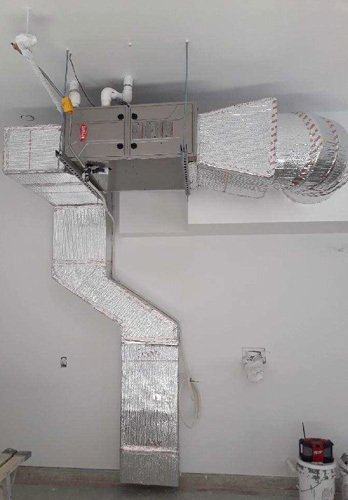 Long Beach Heating & Air replaced this extensive ductwork system in a San Pedro home. 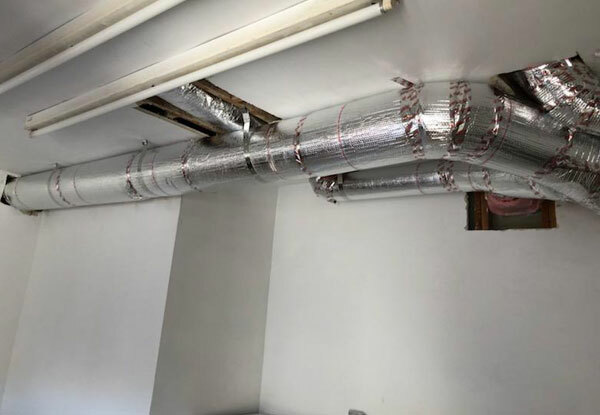 We performed a complete assessment of the client's home and reviewed a number of options before helping them choose the ductwork system solution that best fit their needs and budget. 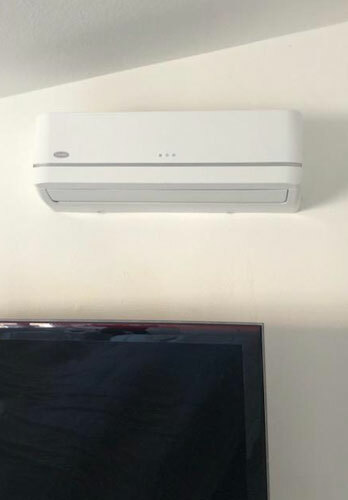 We installed this ductless mini-split system for a Long Beach residence. Our ductless cooling and heating systems are energy-efficient, cost-effective, and backed by excellent manufacturer warranties. 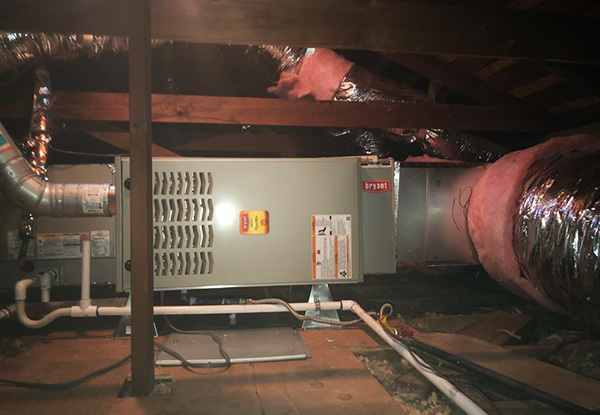 We Installed this Bryant gas furnace in the attic of a Hawthorne, CA home. Long Beach Heating & Air Conditioning has a reputation for providing exceptional service at affordable rates. 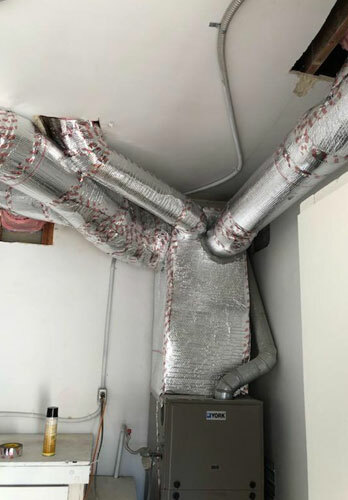 Long Beach Heating and Air offers a full range of HVAC ductwork system design, installation, and maintenance at highly-competitive prices to clients throughout Commerce, Long Beach, and everywhere in between. 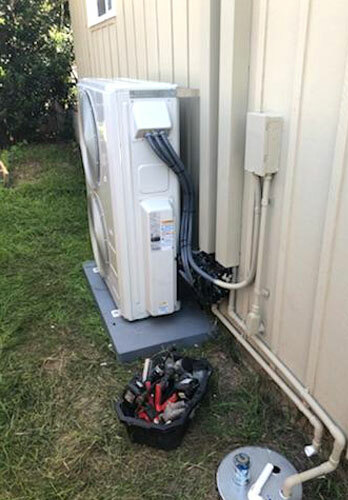 In addition to installation and repair services, we also help our clients remove old units and replace them with new energy-efficient systems. 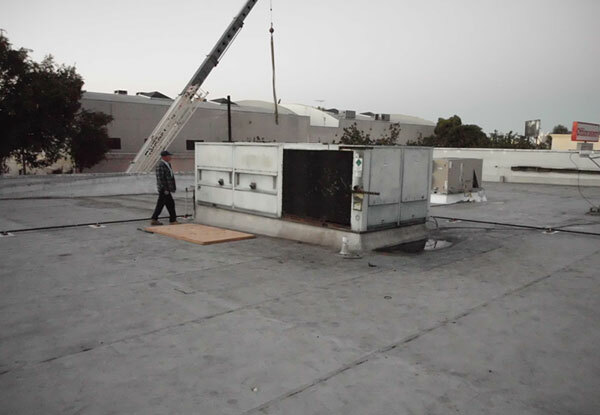 Here you can see our crew preparing for a commercial rooftop unit removal in Long Beach, CA. Our highly-experienced technicians are NATE Certified and have experience working on all major HVAC brands. 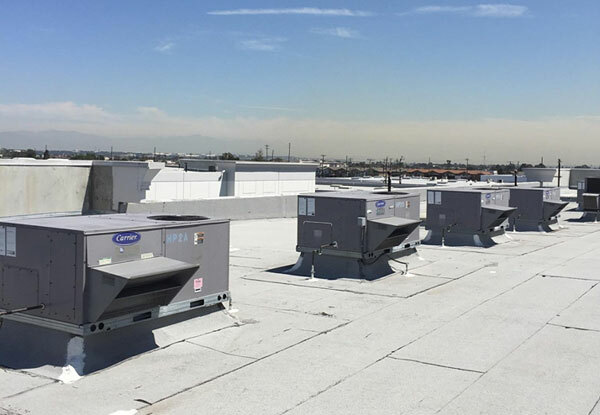 We repaired these packaged rooftop units in Long Beach, CA. 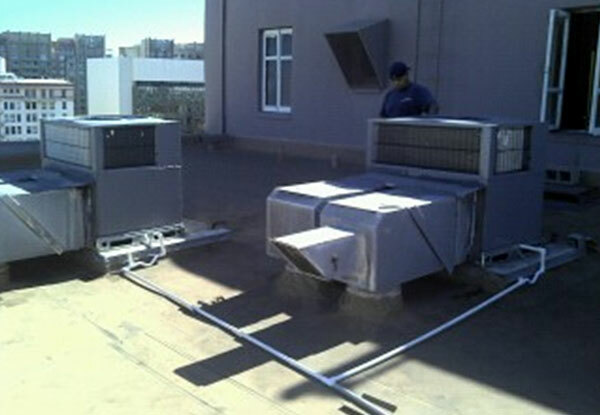 We completed this commercial air conditioning unit replacement in Long Beach, CA. We replace the old unit with a new package rooftop unit to help keep cool this commercial building. Our team of NATE certified technicians have the knowledge, skill, and experience to install units anywhere on your property including in a garage, on the roof, or in an attic or basement. 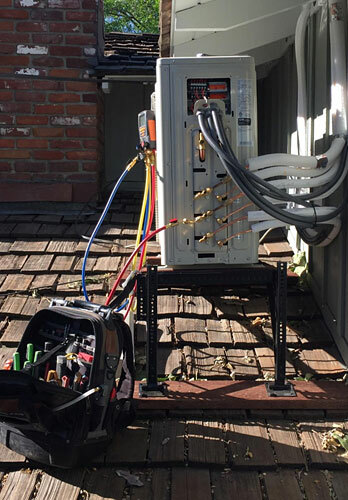 This condenser unit was installed in the garage of this residential property in Palos Verdes, CA. At Long Beach Heating & Air Conditioning, all of our service technicians are EPA and NATE Certified and have years of HVAC experience. Our service vans are clearly marked and always well-stocked with the latest tools and commonly needed replacement parts. Long Beach Heating & Air Conditioning offers the best value in commercial air conditioning maintenance and repair services. We repaired this commercial package unit in Torrance, CA. 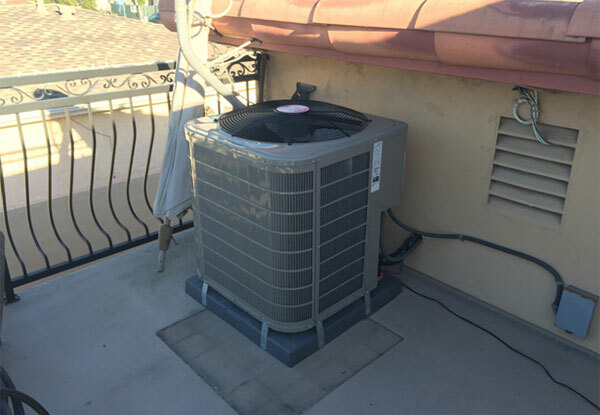 We completed this residential a/c condenser installation in Signal Hill, CA. Our technician are highly- knowledgeable and offer exceptional customer service. 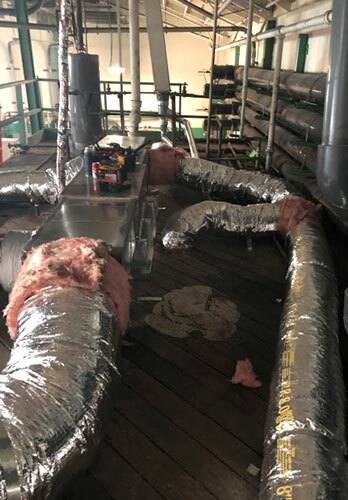 Long Beach Heating and Air's NATE-certified technicians provided expert ductwork patching and repair for this Commerce commercial property. 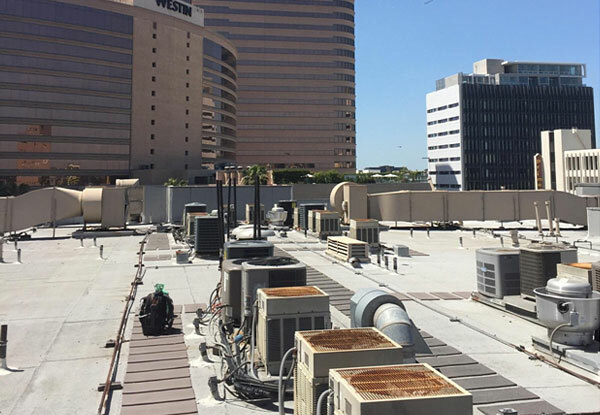 We repaired this residential rooftop condenser in Long Beach, CA. Our team of experienced HVAC technicians worked carefully not to damage the roof or any of the solar panels surrounding the condenser. We are Long Beach's trusted source for air conditioning sales, installation, repair, and maintenance services. 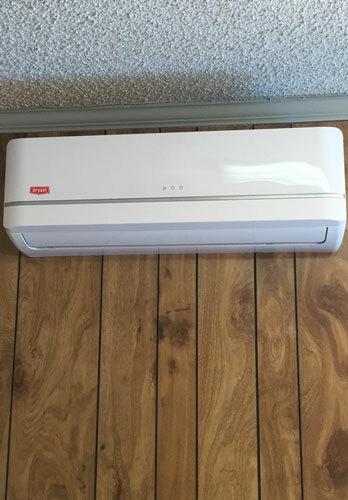 Our experienced, NATE-certified technicians installed a ductless mini-split system in Long Beach, California. This energy efficient air conditioning unit is equipped with three indoor fan heads and a wall mounted outdoor condenser. 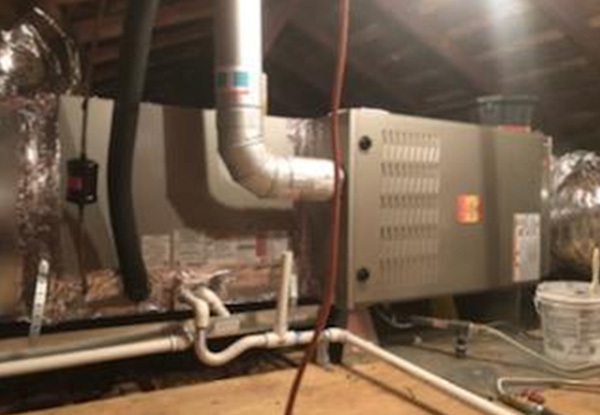 Long Beach Heating and Air replaced this furnace in Long Beach that was located in the client's attic. We have over 60 years of experience in furnace sales, installation and replacement for Long Beach, Los Alamitos, Signal Hill, and surrounding areas. 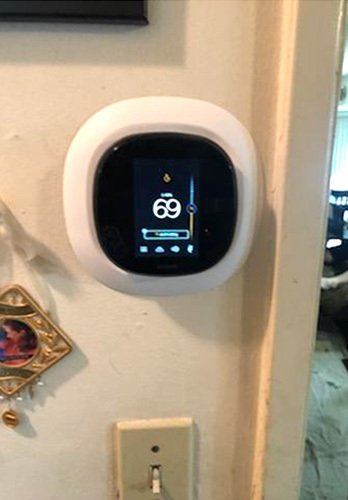 Long Beach Heating & Air Conditioning provided a new programmable thermostat installation in Long Beach to help the client achieve optimal efficiency and indoor climate control. Our skilled team of technicians always take the time to educate clients on their new thermostat with every installation. 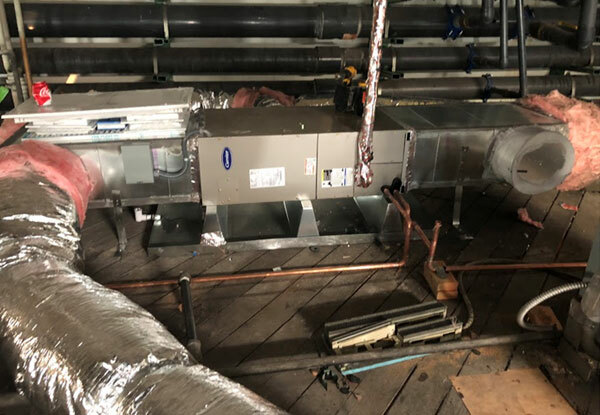 This ductwork system replacement in San Pedro was designed to provide the best HVAC solution for our client's property. Because our EPA and NATE-certified technicians receive ongoing factory training, they always remain up to date with the industry's best practices for diagnosing, repairing, installing, and replacing ductwork systems. 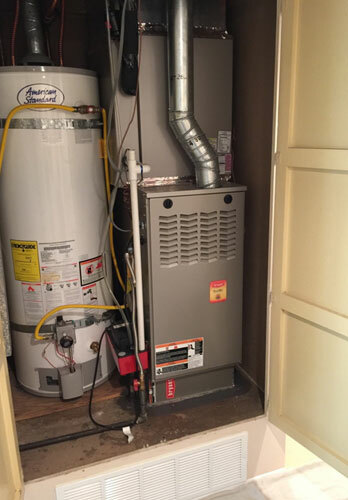 We installed this closet furnace in Huntington Beach, CA for a residential client. We provide the best value in residential heating & air conditioning services throughout Southern California. We installed a ductless mini-split system in Orange County. 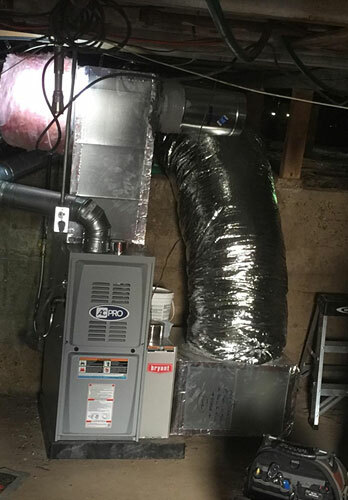 Our customer installed two indoor fan heads, fan coils, and an outdoor condenser with a plan to install two more mini split units at a later date. We offer customers affordable pricing for new installations with 100% financing and a “rent to own” option. 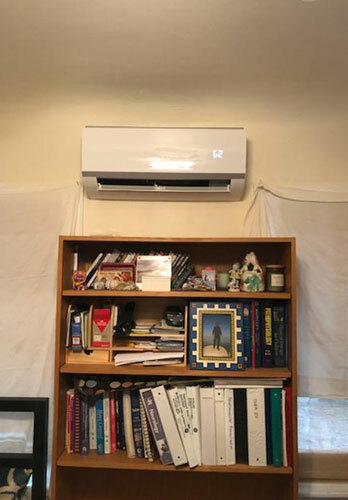 This ductless mini-split installation in Long Beach included two indoor fan heads, fan coils, and an outdoor condenser. Our customer was looking for an energy efficient and cost-effective solution for heating and cooling their bedroom and kitchen. 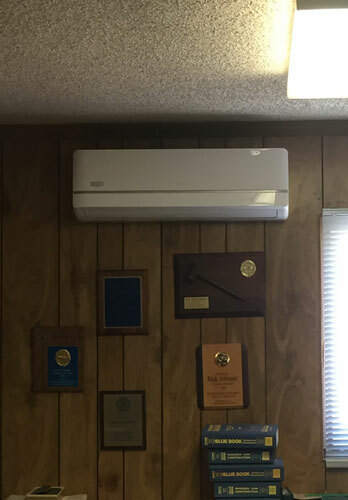 We offer a range of single-zone and multi-zone ductless systems and have mini-splits to fit the needs and budgets of all homes and businesses in Orange County. This is one of two indoor fan heads installed in a Long Beach home. 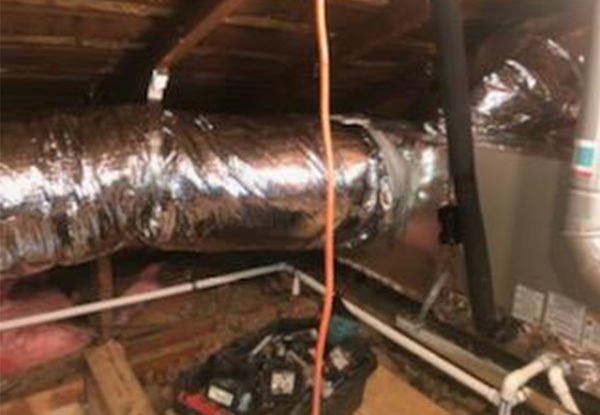 Our customer installed fan heads in their bedroom and their kitchen with the prospect of installing two more residential fan heads at a later date. 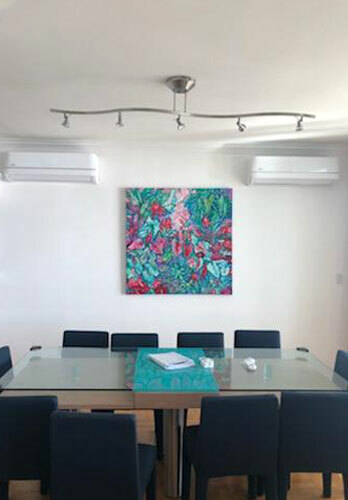 Our ductless systems include the latest technological advancements and features, such as wireless remote control, programmability, and advanced system diagnostics. 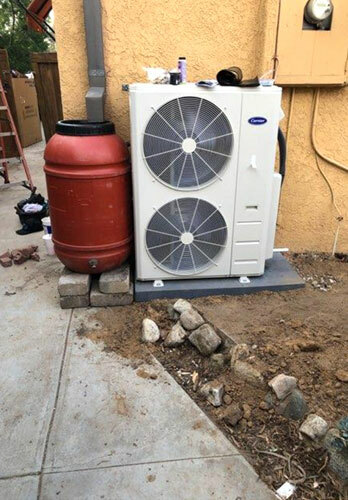 This outdoor condenser unit in Long Beach, CA was installed as part of a residential ductless mini-split system. 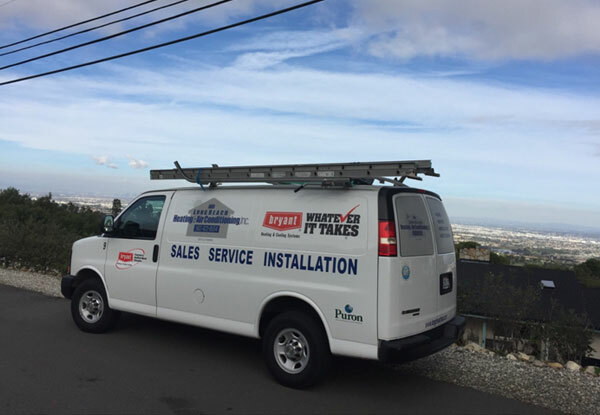 Our EPA & NATE Certified Service Technicians are experts in installing and repairing all major brands of mini-split systems in Long Beach, Signal Hill, Huntington, and surrounding areas. 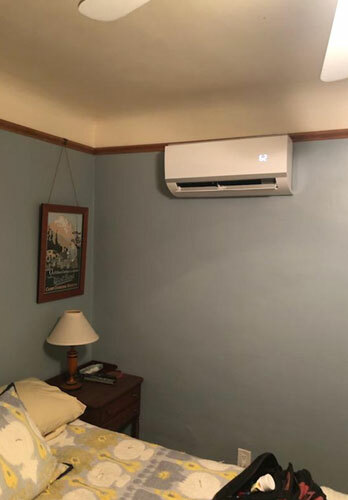 This ductless mini-split system in Orange County was installed to provide quiet, multi-zone heating and cooling for the entire home. Our NATE-certified technicians are highly experienced in repairing and installing mini-split systems throughout Long Beach, Signal Hill, Los Alamitos, and nearby areas. These two outdoor condensers are part of a ductless mini-split system in Orange County. Our high quality mini-split systems come at affordable rates, and are excellent for improving the energy efficiency and performance of the home's heating and cooling system. We installed two full mini-split systems for an Orange County residence. 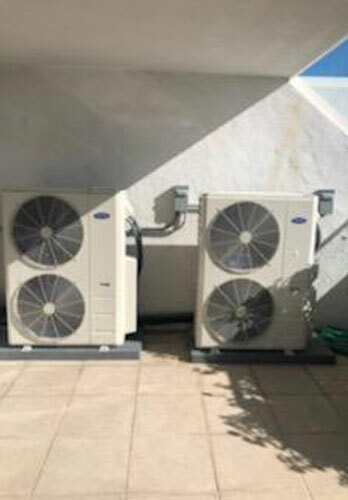 The two systems contain a total of eight fan heads and two outdoor condensers. Mini-splits are energy efficient and can be configured to fit each customer's home. 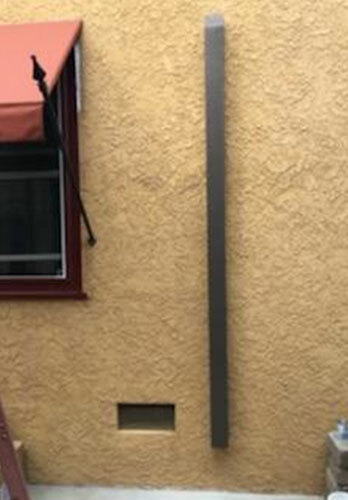 Long Beach Heating & Air Conditioning completed this heater replacement in Long Beach for a residential client to improve the furnace's airflow. All of our heating and air conditioning services are performed by highly experienced, NATE-certified technicians. 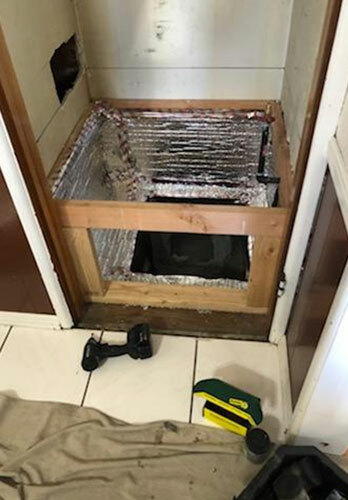 Our NATE-certified technicians completed this furnace replacement in Long Beach, which required custom modifications to bring it into compliance with building safety codes. We provide furnace sales, installation, and replacement services for homes throughout Long Beach, Los Alamitos, Seal Beach, Huntington Beach, and surrounding cities. 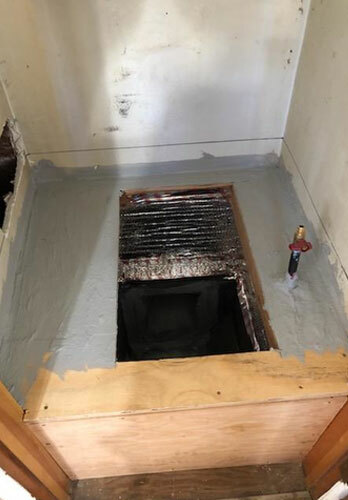 As part of this furnace replacement in Long Beach, our experienced technicians built a furnace platform to safely handle the heating system's airflow. Furnaces that pull return air from under the house are not safe for homes or businesses. 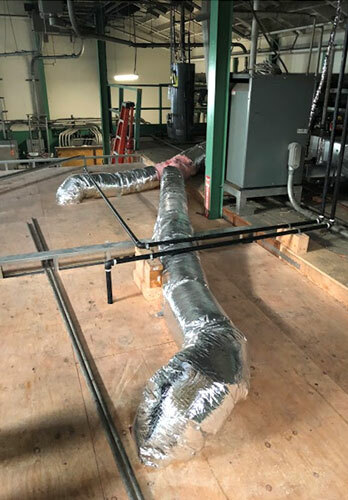 Long Beach Heating and Air installed this custom ducted fan coil in South Gate for a new commercial construction site. 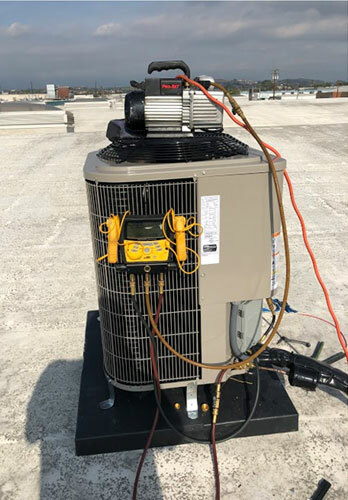 We provide cost-effective, high quality HVAC installation and maintenance for residential and commercial properties throughout Long Beach and surrounding areas. 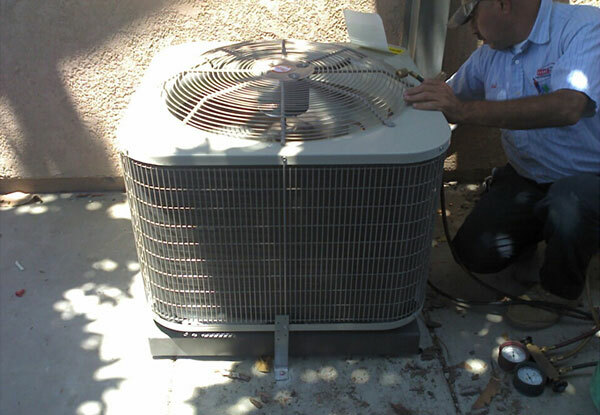 Our team of NATE-certified technicians installed this Bryant heat pump condenser in Long Beach. 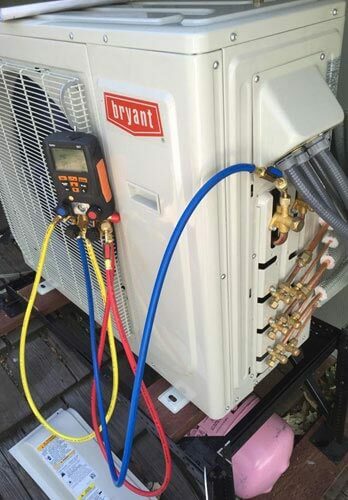 We have been a Bryant Factory Authorized Dealer since 1988, and have over 50 years of experience in heating and air conditioning sales, installation, and repair. 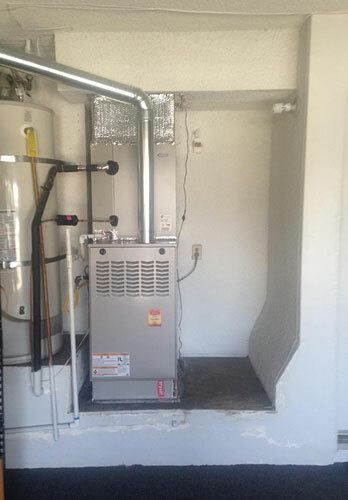 Our experienced, NATE-Certified technicians installed this new furnace in a Long Beach residential garage. 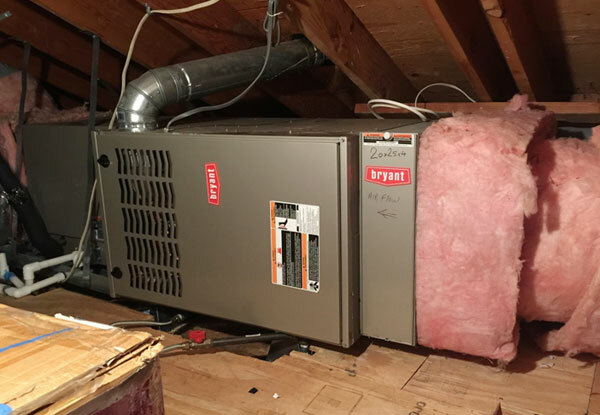 Long Beach Heating & Air is an award-winning Bryant® Authorized Dealer with competitive rates on gas furnaces, heat pumps, and packaged systems. At Long Beach Heating and Air, we offer affordable and reliable ductwork installation, repair, and replacement for businesses throughout the South Bay and nearby areas, such as Commerce, South Gate, Lakewood and Downey. 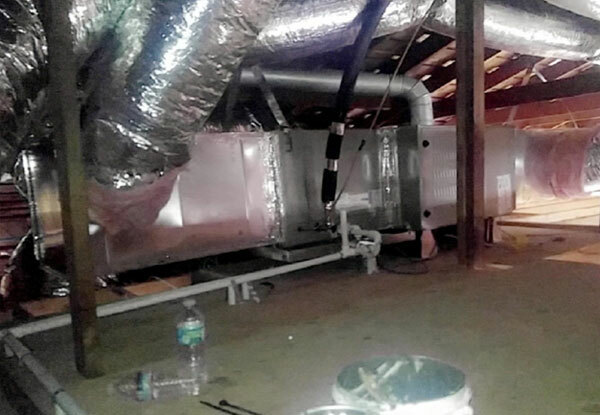 Long Beach Heating and Air completed this fan coil replacement and ductwork repair in Commerce, CA. Since 1957, we have been the preferred choice for heating and air conditioner sales and installation in Long Beach and nearby areas. 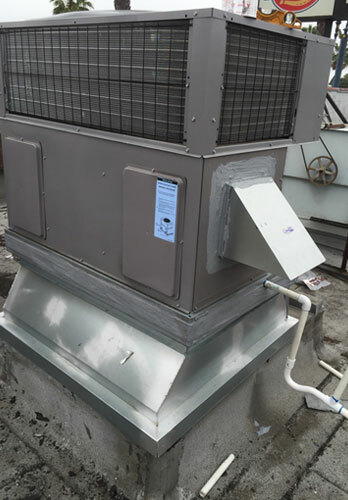 Long Beach Heating and Air installed this new rooftop condenser for a Commerce commercial property. We specialize in exceptional heater and air conditioner service, repair, maintenance, installation, and replacement. This Lakewood client took advantage of our Senior Service Special - 10% senior discount for air conditioner and furnace maintenance services. 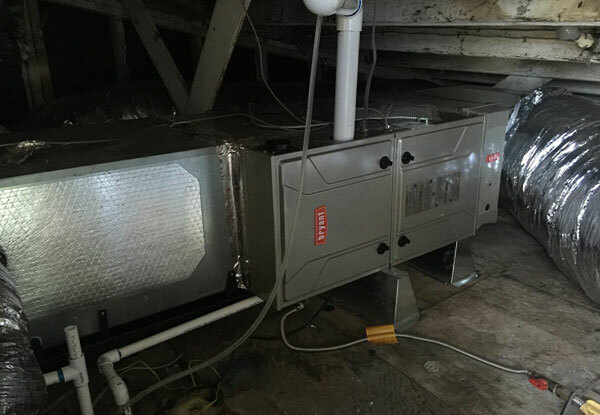 We complete a routine maintenance service and filter change for his Bryant furnace located in the attic of his home. 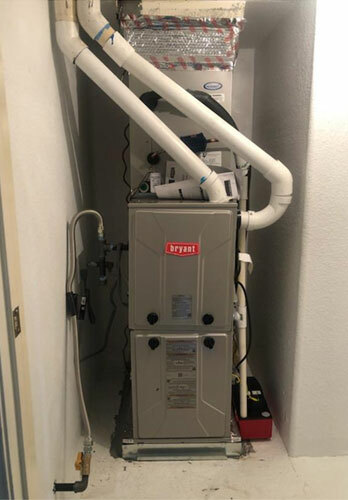 We installed this closet furnace in Long Beach, CA for a residential client. We use industry-leading Bryant gas furnaces that are designed to provide the best performance, energy efficiency, and durability. 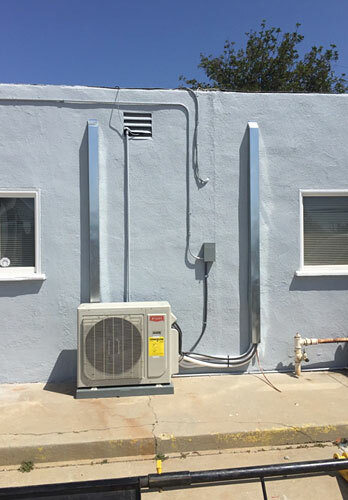 Long Beach Heating & Air Conditioning installed this commercial air conditioning package unit in Seal Beach, CA. We replaced an old and inefficient unit with this energy-efficient Bryant unit. 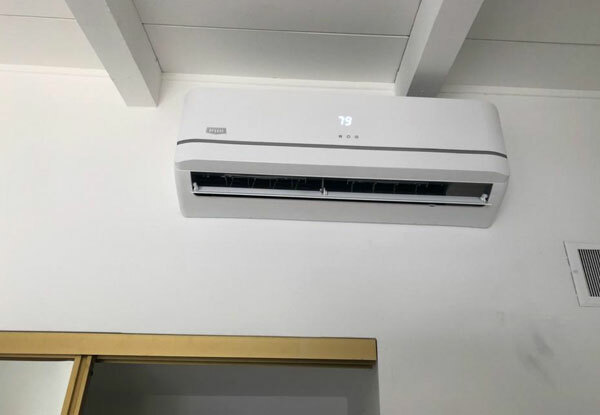 Long Beach Heating & Air Conditioning installed this Bryant ductless system in Huntington Beach, CA. This unit was installed on the home's roof and features a metal roof curb to ensure a secure installation. 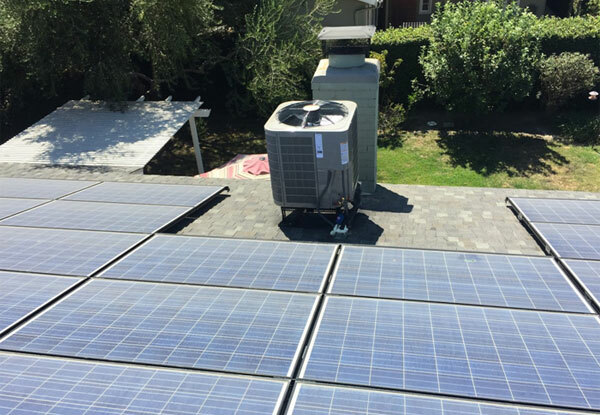 We installed this rooftop ductless system in Huntington Beach, CA. 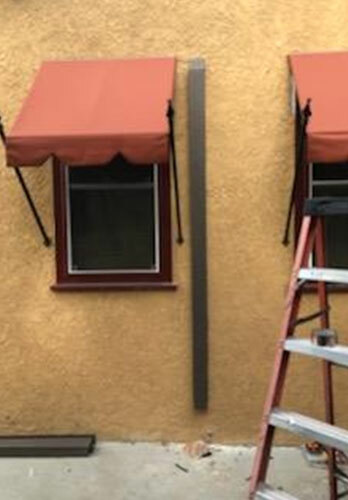 Our high-skilled technicians safely secured this unit to the rooftop using a metal roof curb. Improve your indoor air quality with expert duct cleaning services from Long Beach Heating & Air Conditioning. We installed this residential furnace in Los Alamitos, CA. Our experienced technicians always install appropriate venting to keep your home safe and comfortable all year long. We installed this residential ductless system in Long Beach, CA. our Bryant air conditioning systems are energy-efficient, high-performing, and extremely durable. Long Beach Heating & Air Conditioning provides excellent service at affordable rates. 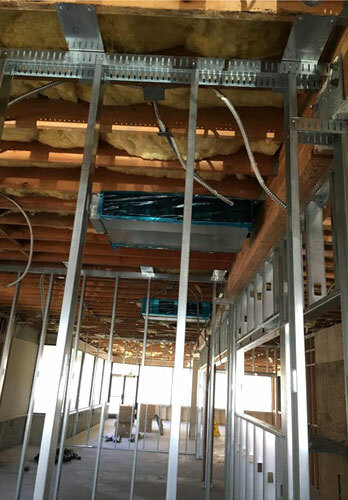 This pictures shows the indoor blower unit from the rooftop package unit for this office building in Signal Hill, CA. 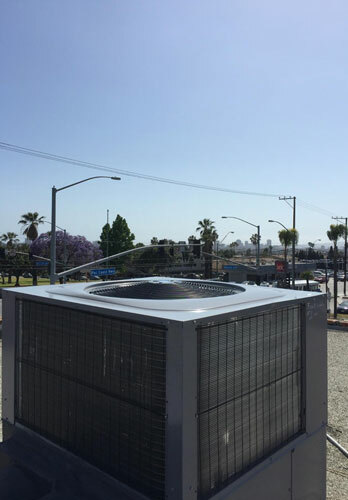 This commercial rooftop package unit was installed in Hermosa Beach, CA by the HVAC experts at Long Beach Heating & Air Conditioning. We installed this Bryant ductless air conditioning system in Lakewood, CA for a commercial client. 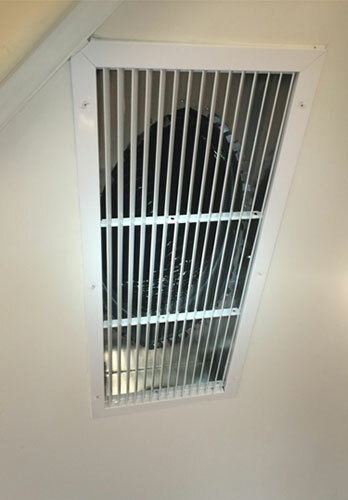 Here you can see the indoor blower unit which helps keep this office building cool while reducing energy costs. 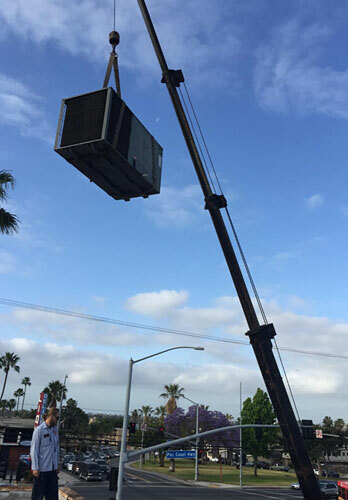 Long Beach Heating & Air Conditioning installed this 10-ton commercial package unit for a Seal Beach client. We have the knowledge, expertise, and skill to handle installations of all sizes. 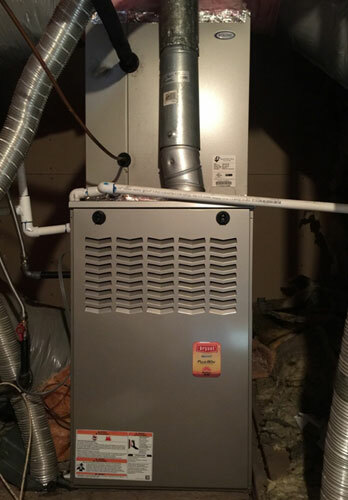 This residential furnace was installed in the basement of this Downey home by the HVAC experts at Long Beach Heating & Air Conditioning.